Shy, plain Lady Jane Parker feels out of place in Henry VIII's courtly world of glamour and intrigue--until she meets the handsome George Boleyn. Overjoyed when their fathers arrange a match, her dreams of a loving union are waylaid when she meets George's sister, Anne. For George is completely devoted to his sister, and cold and indifferent to his bride. As Anne acquires a wide circle of admirers, including King Henry, Jane's resentment grows. But if becoming Henry's queen makes Anne the most powerful woman in England, it also makes her highly vulnerable. And as Henry, desperate for a male heir, begins to tire of his mercurial wife, the stage is set for the ultimate betrayal. . . 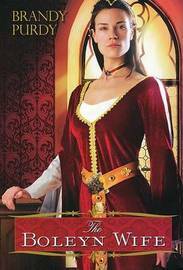 Encompassing the reigns of four of Henry's wives, from the doomed Anne to the reckless Katherine Howard, "The Boleyn Wife" is an unforgettable story of ambition, lust, and jealousy, of the power of love to change the course of history, and of the terrible price of revenge.